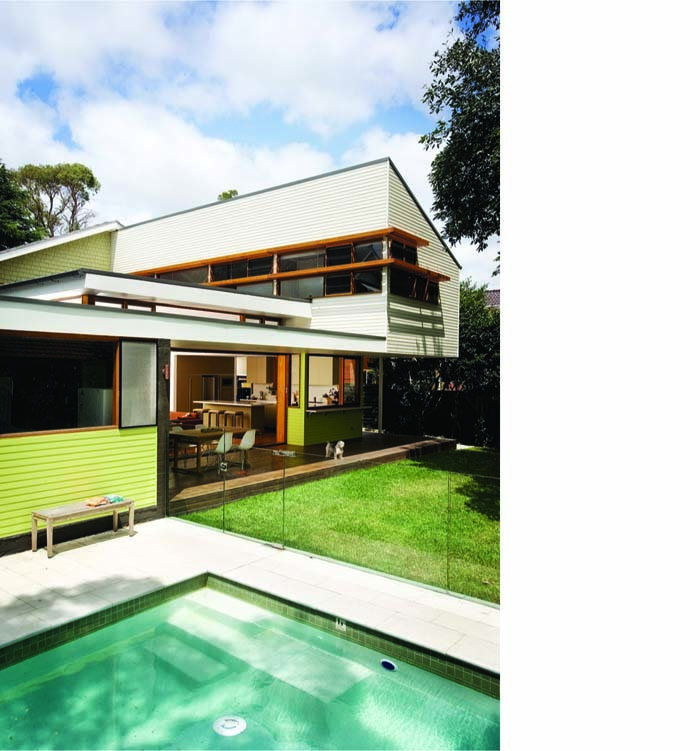 The Roseville House project involved alterations and additions to a large Federation family home. 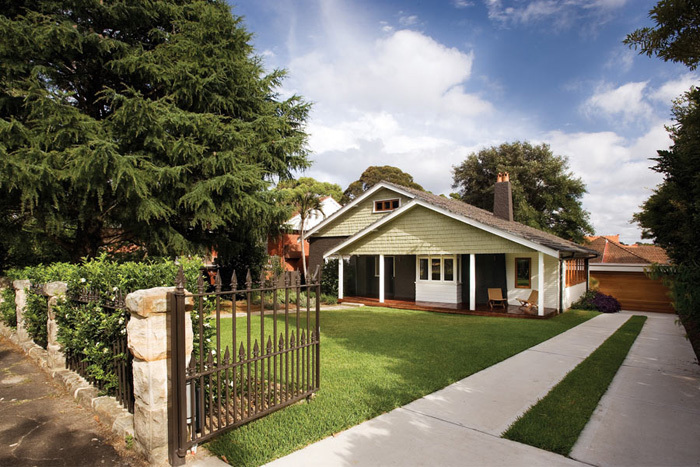 The works included new bedroom accommodation, living spaces, landscaping and car access. The existing street façade is retained and enhanced with a new modern colour scheme. 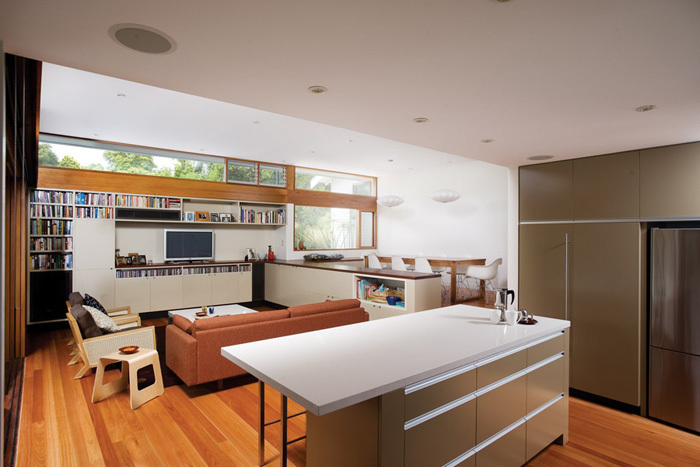 The addition to the rear sits respectfully under the existing eave and cantilevers over the kitchen to reach into the garden. 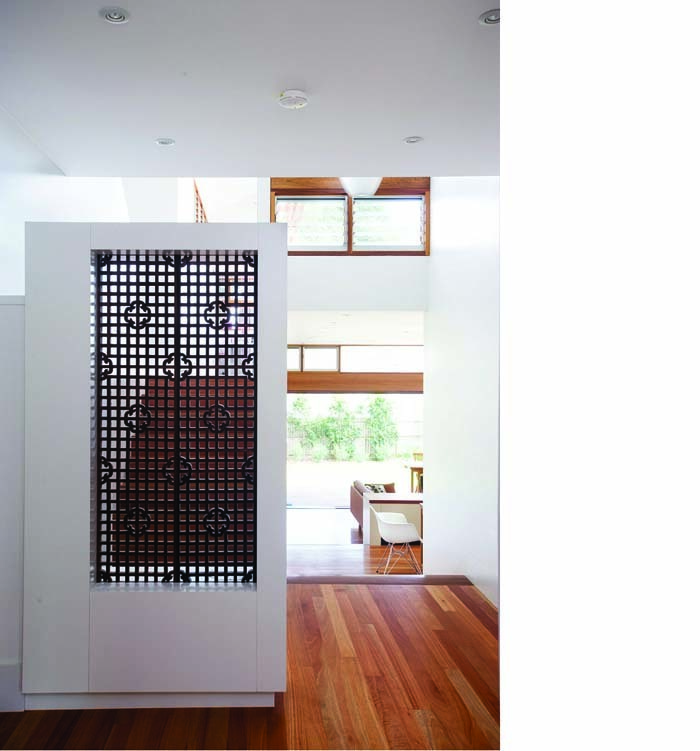 A feature ornamental screen directs the visitor through a light filled central circulation void. 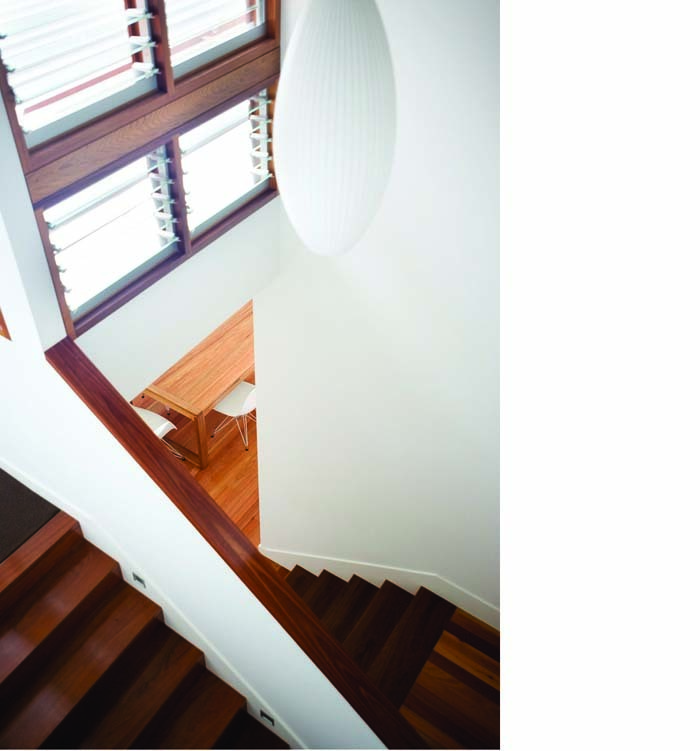 This leads down to the new living spaces that cascade down the site in response to the slope of the land. The building terminates in a covered rear deck that spans the width of the yard. 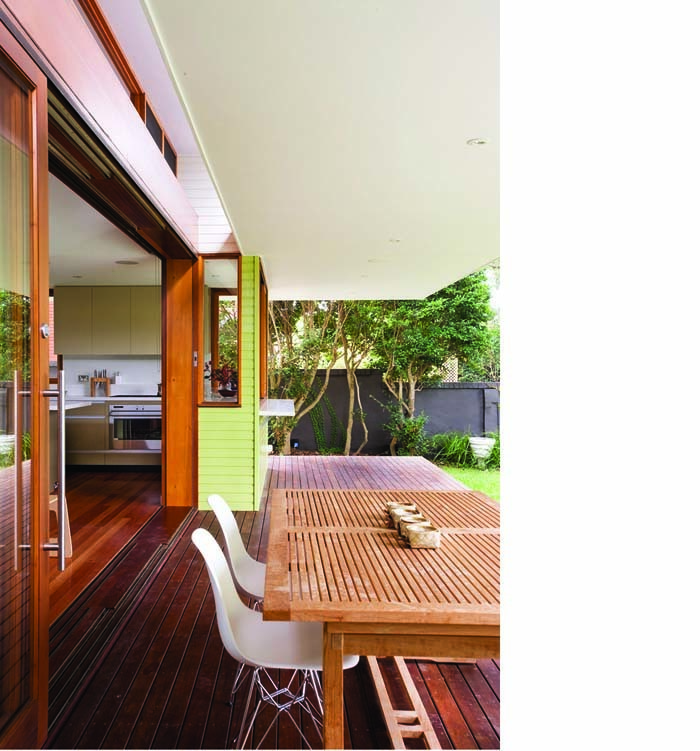 The deck provides an interface between the living area and the mature garden and pool beyond. 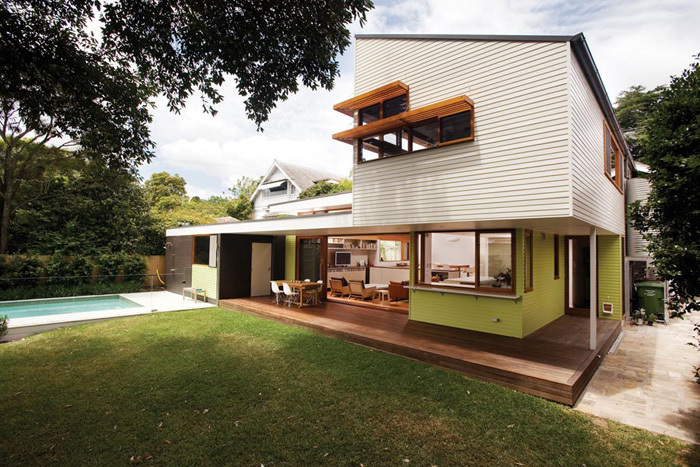 For more residential architecture by Melocco & Moore, have a look at the Birchgrove House.